Thank you to the wonderful group of musicians who participated in the 2018 Alumni Band Spring Concert. Our music selections (Be Thou My Vision, National Emblem, Russian Sailors Dance, Whip and Spur, and Prelude, Siciliano, and Rondo) were enjoyed by a small but enthusiastic house in the Fairchild Auditorium. A special thank you to Directors Kevin Sedatole, David Catron, David Thornton, and Simon Holoweiko. To view pictures, please see our page on Facebook. 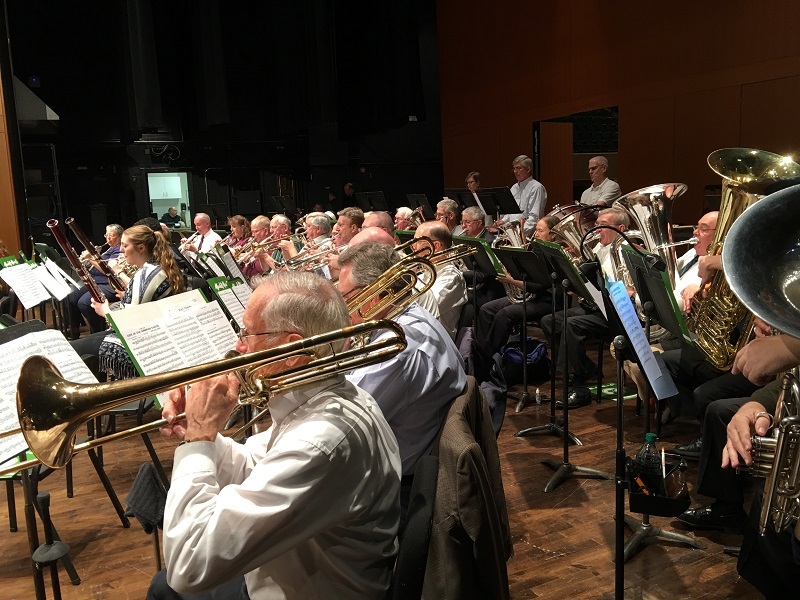 Look for us again next Spring for the 2019 Concert, and consider joining us. It doesn’t matter what instrument you play, as long as you were part of a musical ensemble during your time at MSU. Our members range from recent graduates, to those who played in the 1940’s! It’s one great day of music, stories, new friends, and old acquaintances. If you have questions or comments, feel free to contact us at alumband@msu.edu. You may also reach us at 517-351-4582.